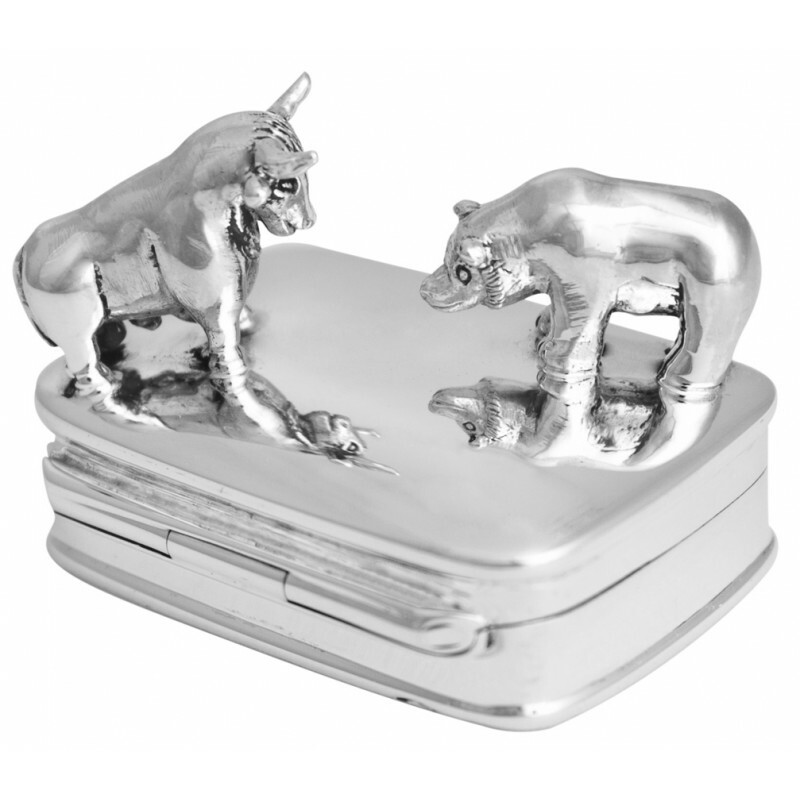 Sitting proudly upon a sterling silver rectangular shaped pill box, our 3D bull and bear have been crafted using premium hallmarked sterling silver by our British Silversmiths. With a hinge opening on the back of the box to open and secure it, this pill box could be used to store pills or any other small keepsake item. The plain silver on the lid, sides or base can also be engraved to create a bespoke and personal gift.